When are ticketed for a traffic offense in Florida, you have several legal options and it’s important to understand the possible outcomes. 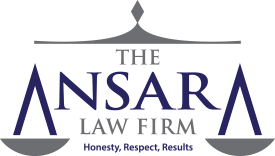 At The Ansara Law Firm, our Broward traffic violation defense lawyers know the technicalities that can be cited to have traffic tickets outright dismissed. And even when a ticket is written perfectly, we understand how to negotiate with prosecutors for lesser penalties, fewer points on your license and a reduced likelihood of other obligations, like costly educational courses. The traffic hearing officers at the Broward County hear tens of thousands of traffic cases every single month. They are not apt to give your case much time – or cut you much of a break – unless you take the initiative to make a case for it. There are also a number of traffic-related offenses that are actually very serious crimes. These generally involve the serious injury or death of another person, though they can sometimes involve property damage or fleeing the police. If you have been charged with a traffic violation, it might seem tempting to pay the ticket and forget it (if that’s an option). But what you should understand is that when you pay a traffic fine, you are admitting guilt. That comes with both immediate and long-term consequences that you’ll want to carefully consider. Obviously, if you are facing a criminal traffic charge, particularly on the felony level, you need an attorney. Crimes like vehicular homicide and DUI manslaughter are complex and highly technical and you are going to need someone on your side who can fight to ensure your rights are protected and to give you the best shot of avoiding prison time. But even when it comes to lower-level traffic offenses, hiring a lawyer can be helpful. Bankrate.com once published an article focusing on this very issue and interviewed Branda Di Ioia, chief traffic magistrate for Broward County in Fort Lauderdale. “Can traffic lawyers get the tickets dismissed? Yes, because they know the technicalities,” Ioia said. She also explained they know at the outset which ones probably won’t get dismissed, and they can plan to negotiate a plea bargain on the driver’s behalf. It’s especially beneficial if your driving record isn’t good or if you don’t have the time to go to court. If your license is suspended, there will be all sorts of implications, not the least of which will be the impact on your employment. Remember too that traffic laws are constantly changing. For example, the state legislature only recently passed F.S. 316.305 which prohibits use of wireless communication devices while driving. You need an attorney who understands this constantly-evolving area of law and can help you navigate it. It’s well-established that drivers who are not represented in traffic court tend to get higher fines and more convictions. There are many cases in which an attorney can win or negotiate a favorable outcome in your case, and it’s often well worth it to clients. In some cases, a successful defense of a traffic ticket does not depend on whether you are actually guilty of the alleged offense. Defendant agrees to pay all or part of the fine and complete unsupervised probation. Even in cases where one ends up paying the fine, you can still avoid the actual conviction – which is where all of the insurance penalties and other consequences kick in. If you have gotten a traffic ticket, whether for a stop sign violation, red light running, speeding, driving with a suspended license, move over law violation, DUI, leaving the scene or some other offense, we can help.